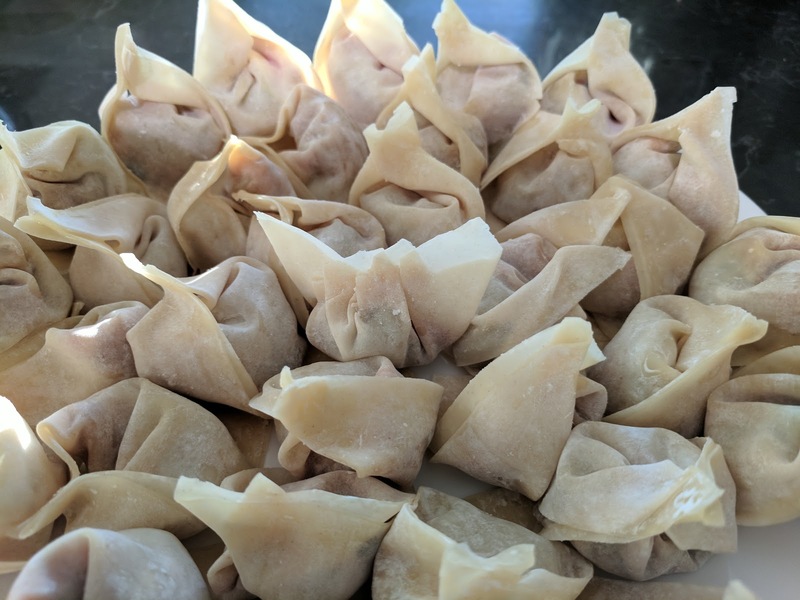 What I've learned from my mom is that patience is key to making wontons. 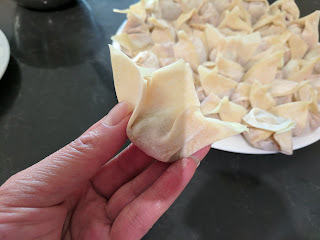 And as much as you may have want to stuff that yummy filling into those wontons, do not overfill those babies - or the wrapper will break during the wrapping or cooking process! I like to fold them into a triangle pocket and then gently bring the length side tips together. 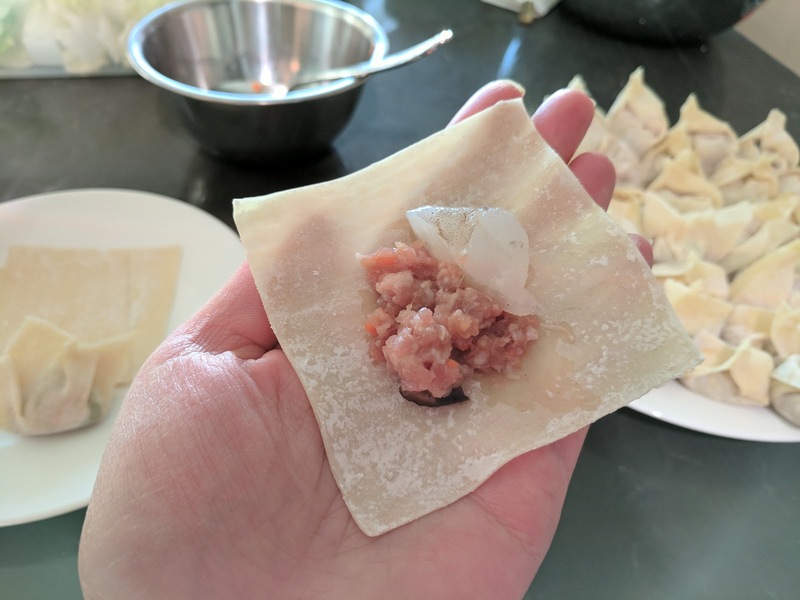 Make sure to apply some egg white to the bottom V- edge before folding into a triangle and the tip to "glue" the wonton together. Again, the above 1-min video details various ways perfectly! Fold them into a triangle pocket using egg white to "glue the sides"
I always cook a couple of wontons in boiling water for 5-6 min and have a taste to see if more soy sauce or salt is needed. Adjust taste accordingly and then you know your wontons will be perfection when served! 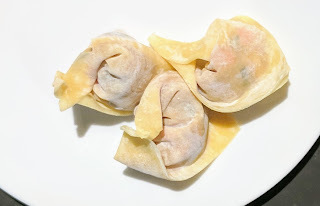 Always cook your wontons in water (not the soup itself) as the wrapper is starchy like pasta and the liquid is not suitable to drink. 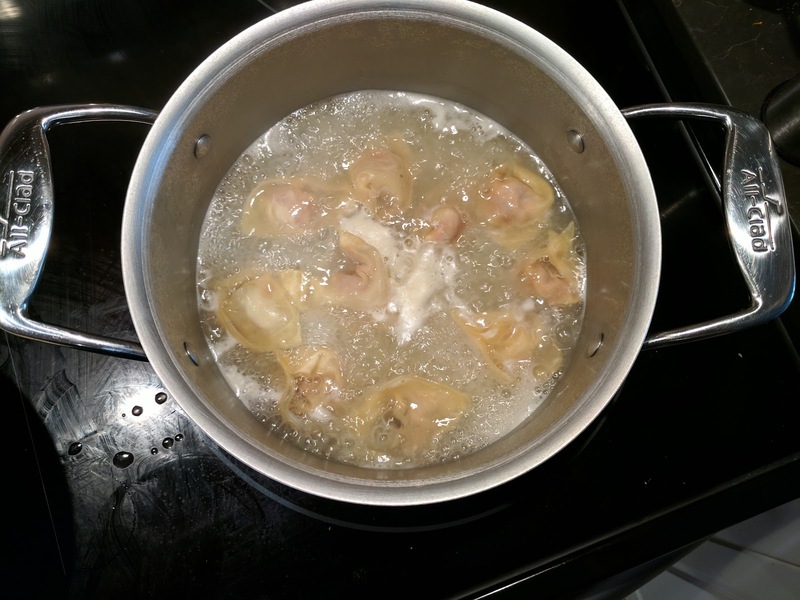 When cooking them, do so in smaller batches so that they don't stick together in the pot. For a medium-size (3-quart) pot filled 2/3s of the way, I cook about 15 at a time. 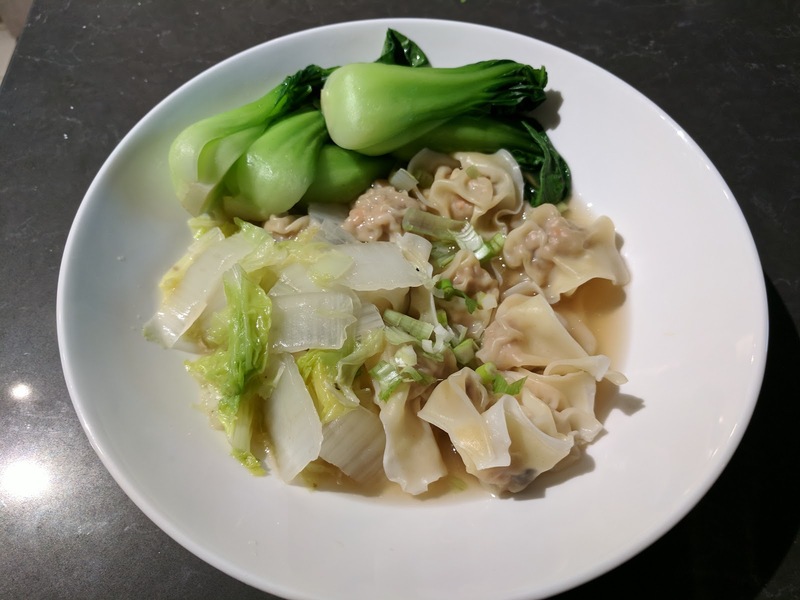 Heat up your soup, add some veggies like diced napa cabbage and Shanghai bak choy and serve in a large bowl with egg noodles or wide rice noodles ("ho fun"). 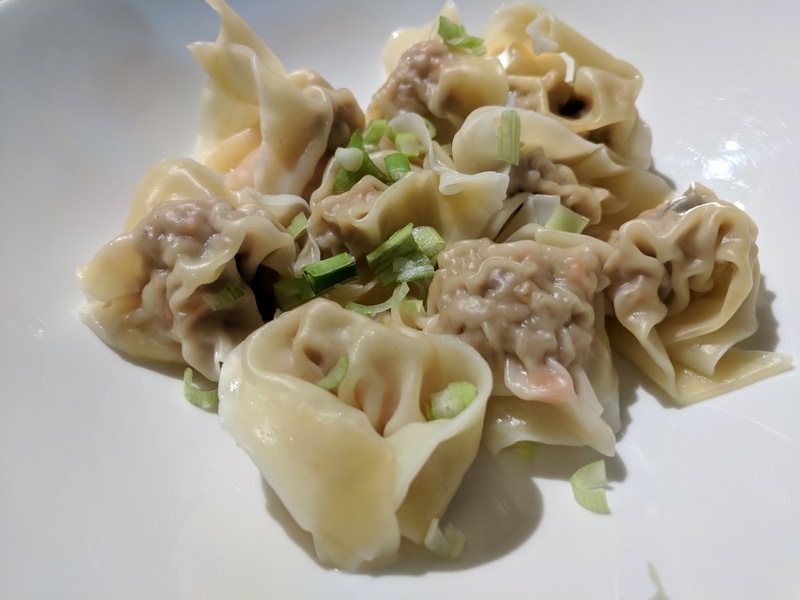 Place the 5-6 wontons on the bowl and your dinner is ready. 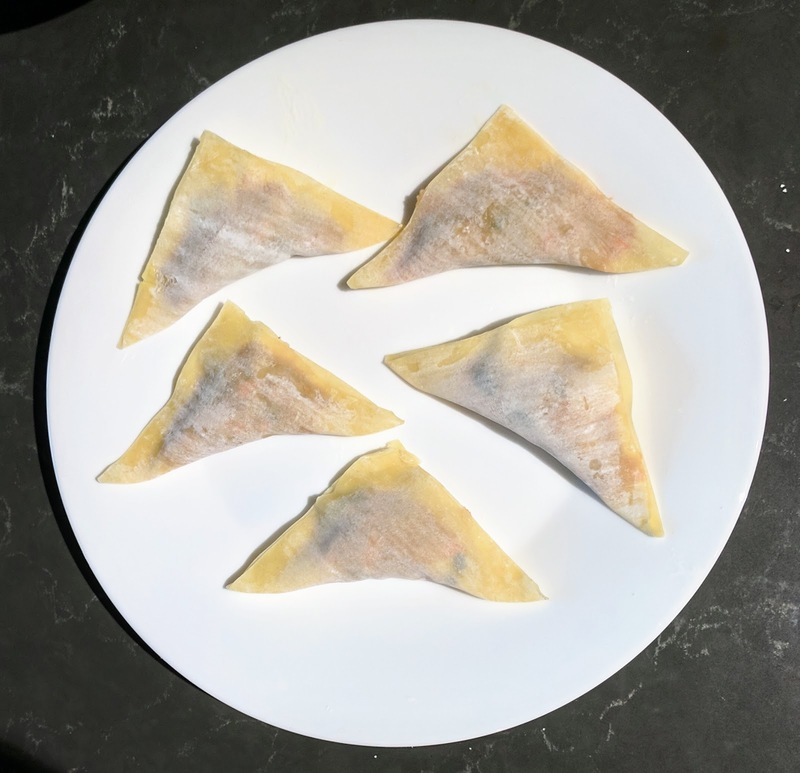 Wrapped but uncooked wontons freeze well, place uncooked pieces in a freezer bag and store for up to 3 months.